Guitar Rig 4 comes in a number of editions: Pro (which is the full application), Essential (which is a cut down version with fewer amps, effects etc. ), Mobile (which is a version that includes Essential and a 24bit/192KHz mobile interface for those on the road) and Kontrol (the version that includes Pro and the Rig Kontrol 3 audio interface/floorpedal). I got the Pro version, as I don’t need anything else (I still use my old Rig Kontrol 2 from Guitar Rig 2 and it works fine for me). The Pro version costs €179 (for the full version) and €69 (upgrade). Guitar Rig 4 comes with 3 new amplifiers (HotPlex, a gain-boosted version of Plexi, Jump, a smoother version of Lead800 and CoolPlex, an amp bringin you ‘sparkling, vintage’ sound) and 4 new effects (Grain Delay, Twin Delay, Octaverb and Iceverb). But perhaps the most interesting addition is “Control Room”, a brand new feature that provides yet another way to control your signal. Guitar Rig 2 introduced Cabinets and Mics which allowed a custom selection of cabinets and mics, position of the mics, ambient (room) ratio, EQ etc. Guitar Rig 3 brought Matched Cabinet, a convenience feature that made it easier to forget about the whole cabinet and mic thing and get ‘stock’ sounds easily without much experimentation. Guitar Rig 4 brings Control Room, as a ‘best of both worlds’ feature: you get some true and tried production setups (vintage cabinets, mics and ‘sweet spots’) and you get to control multiple chains easily through a number of faders, without worrying about phase, position etc. Something like having your own professional sound engineer giving you a number of ‘preset’ setups that she likes that you can combine anyway you like. It’s a great feature for home users and semi-pros that don’t record professionally and crave for that ‘big studio’ sound. The new version comes with around 250 brand new presets; the preset browser has been redesigned (it was about time) and I find the choice of provided presets much improved (you can also easily ‘import’ the old Guitar Rig 3 presets if you liked them, of course). Overall while Guitar Rig 4 seems to add little to an already excellent software guitar studio suite, I noticed a significantly improved sound quality (in part due to Control Room) and a pleasantly revamped user interface that will certainly make the use of the application easier and more fun. If you’re happy with Guitar Rig 3, uninterested about the new features, or if you still use a PowerPC Macintosh, you could skip this version and wait for the next one; for those seeking the best in terms of sonic quality, performance and willing to shell out for the latest and greatest, Guitar Rig 4 is a solid upgrade for those things that matter most: sound quality and ease of use. This is the independent cosmix.org review of Native Instruments Guitar Rig 4 Pro. I am not affiliated withj Native Instruments in any way other than being their customer. I use a PowerPC Mac G4 and for sure I can tell its impossible to run GR4 on it. So, I installed version 3. But, seems to me theres NO WAY to set it up, because theres no audio!!! Couldnt even find any videos of it too. There’s nothing special that needs to be done for Guitar Rig to work on a Mac. After installing and registering/activating it with Native Instruments, it just works. You will need an audio interface with an instrument-level input of course (like the Native Instruments Rig Kontrol) where you hook your guitar/bass and then you need to choose the interface from within Guitar Rig (look at the menu) and your Mac. After that it should work straight out of the box. Maybe on Intel Macs…but the settings on AudioMidi Setup are very different than on PPC’s. Im searching for screenshots of both this settings windows and the GR3 preferences too (there are some details about creating aggregate devices I didnt understand either). But PPC screenshots…cause INtel ones cant help me. As for interface, I use a Bheringer USB Guitar Link Adapter. Guitar Rig 3 is configured in exactly the same way as any other version, for PowerPC or Intel Macs. ‘AudioMidi Setup’ (The Mac OS X utility for configuring audio interfaces that is), is totally irrelevant to this discussion; I never had to use it in the process of configuring Guitar Rig 1, 2, 3 or 4), and besides there are no differences in the program between Macs of different architectures (PPC or x86), only between different versions of the OS; you shouldn’t bother with aggregate devices. First make sure that your Mac can ‘see’ your interface. If it doesn’t, make sure you have a driver for your interface installed (if it needs one) and you have rebooted the Mac after doing so; I don’t know much about the Behringer model you’re using, so I can’t help there, but in order for any interface to work in Guitar Rig it has to be properly seen by CoreAudio. 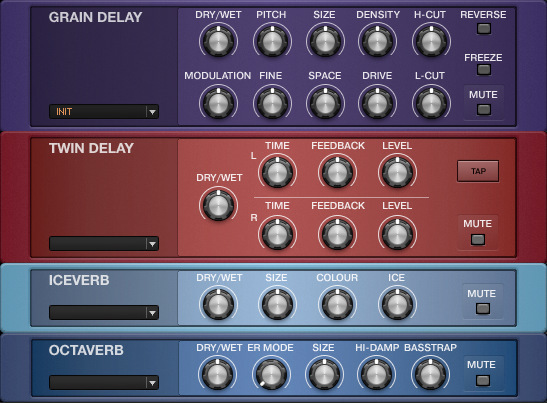 Then, select the interface in Guitar Rig 3, as described here. Selecting an audio interface in Guitar Rig (any version, any platform, any architecture) is a largely identical process that takes less than 30 seconds. I don’t know what else I can tell you to help. Good luck! First of all, thank you for your kind/fast support and attention. As you can see in this image, my audio input device is listed on system profiler, as USB AUDIO CODEC. Turning on GR3, you can notice that the INPUT cabinet has its activity red led enabled, which cant be said about the OUTPUT one. On GR3 prefs window, as you can also see, theres the USB AUDIO CODEC device listed as audio output device. If you take a closer look at the CPU usage gauge, it will show theres actually activity. But for Gods sakes – and all his mysterious ways – there IS NO SOUND. So…even you telling me theres nothing related to Audio/Midi Setup, heres my AMS window, just in case, to show theres nothing apparently wrong about it. Native Instruments Troubleshooting Page dont focus on particular problems, just on a general overview. So….what Im I doing wrong? You’re welcome. Where do you expect the sound to come from? Have you tried plugging headphones on the Guitar Link Interface? ‘Cause that’s the only place where you’ll be able to hear Guitar Rig with these settings. I expect the sound comes from both my microsystem speakers, wich are connected via Built In Audio on Mac. So could you explain to me in details what I should do?